Jacqueline Curley is an Australian photographer who captures elements of the outback in a series of works conceived by her fierce love for the land and a passion for the Australian Beef Industry. Many of her images feature people at work in the bush, allowing the public to view a different side of rural life. Jacqueline wishes to communicate the joys of living in close association with the land through agriculture. She also produces a series of postcards depicting a whole range of outback events. 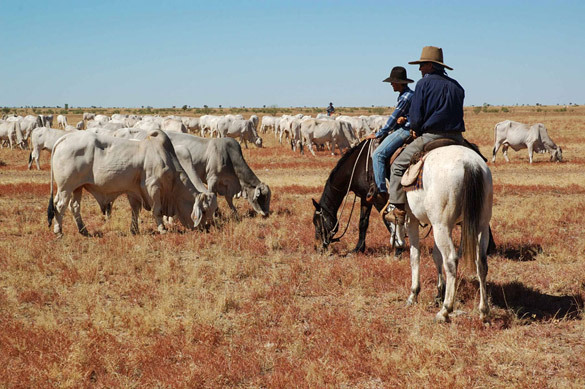 Jacqueline lives and works with her family on Gipsy Plains Station, 63km North of Cloncurry, Queensland, Australia where together they run a successful Brahman Stud.